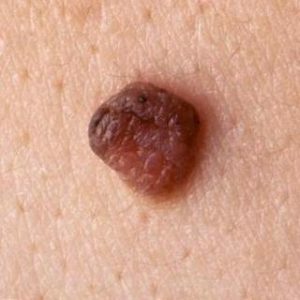 Are Moles And Skin Tags The Same Thing? Many people can not tell the difference between, skin tags, warts, and moles. What are the indicators that can help you learn the differences between them? Please note if you are suspicious of any changes of warts, moles, and skin tags please contact a dermatologist to get them examined. Unlike moles that can appear anywhere on your body, warts are seen on the hands, knees, and the bottom on your feet. Warts are hard bumps that lie deep in the skin. Some warts are smooth on the top, however, a majority of them are thick and callus-like. 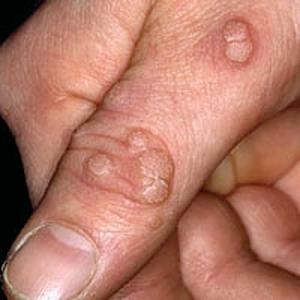 Warts are started by a virus which is contagious. They can be as contagious as simply shaking someone’s hand who has contracted the virus. Warts can be painful so over the counter treatments or visiting a doctor is highly recommended. The wart will not go away until the virus is gone so multiple sessions or treatments will be recommended. Moles are common yet can sometimes be threatening. Moles are dark pigments that produce cells that are known as (melanocytes) If these moles become cancerous they will have multiple factors that dermatologist will begin to examine. An ABCDE examination process will begin. Skin tags are a collection of skin cells that appear among the skin folds. This could be caused by clothing or rubbing of the skin. You can tell the difference between a wart and a skin tag because warts are flat on the top and go deep within the surface of the skin. Skin tags hang off of the skin. Again if you notice any changes in your skin, it is highly recommended that you are examined by a dermatologist. Contact Rhode Island Dermatology at (401) 475-9140 to schedule a skin examination. Our highly trained staff is qualified in using the latest technology to provide the best possible experience for each of our patients.